Based on official reports of moon sighting in Saudi Arabia, the month of Dhul-Hijjah starts on Sunday, August 12, and Yaum-e-Arafat, will be on Monday, August 20, 2018. Accordingly, Eid-ul-Adha will be on Tuesday, August 21, 2018. For details on Eid prayer location and timing please visit https://eid.austinmuslimunity.org/. The Prophet Mohammed (peace and blessings be upon him) said the following about the first ten days of Dhul Hijjah: “There are no days in which righteous deeds are more beloved to Allah than these ten days.” The people asked, “Not even Jihad for the sake of Allah?” He said, “Not even Jihad for the sake of Allah, except in the case of a man who went out to fight giving himself and his wealth up for the cause, and came back with nothing (Bukhari)”. We ask Allah SWT to accept all our good deeds. We request your prayers and support in our endeavors. 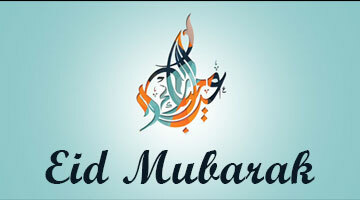 Eid Mubarak from all of us.